Alexis Sanchez says Manchester United must sign players of Arturo Vidal’s calibre if the club are to compete for trophies this season, Skysports reports. United have made two summer signings to date, with Fred joining from Shakhtar Donetsk and Diogo Dalot from Porto. Ahead of Deadline Day on Thursday, Jose Mourinho still hopes to bolster his defensive ranks, with Leicester’s Harry Maguire and Bayern Munich’s Jerome Boateng both linked with a move to Old Trafford. “At United we have to sign big players, with experience,” Sanchez told Sky Sports. “Barcelona just signed Arturo Vidal, who is a great player and my team-mate from Chile. 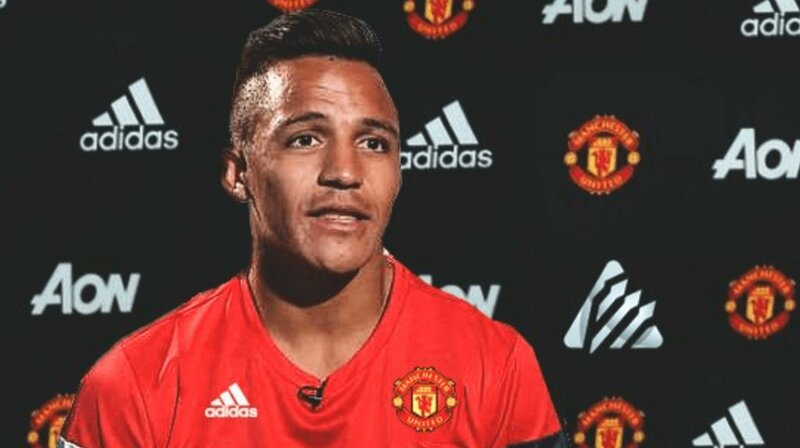 Sanchez admits he did not find his best form at Old Trafford after signing from Arsenal in a swap deal with Henrikh Mkhitaryan in January. However, the forward insists he is looking to hit the ground running when United’s season kicks off at home to Leicester City on Friday Night Football. The truth is I’m very eager to get started with the new season, and I’m very motivated,” he said. Meanwhile, Paul Scholes believes United lack the quality to compete for the Premier League, and says manager Jose Mourinho could possibly leave if the club fail to challenge for the title. With Liverpool investing heavily over the summer, and City laying down an early marker with a convincing Community Shield victory over Chelsea, Scholes fears United will not be able to sustain a title challenge. “When you look at Manchester City, possibly Liverpool, I don’t think they (United) have the quality of those two teams at the minute. Liverpool have made some really good signings. United finished above them last season,” said Scholes, speaking in Hong Kong.